BeerBoard is the industry leader in real-time, fact-based data and insights for draft beer, working with thousands of client locations, monitoring 65,000 draft lines and 45,000 products through our Integrated Beer Management and Guest Display System. Our services include SmartBar, which generates real-time insights and trend-driven analytics; BeerBoard Display, a digital consumer-facing menu display at the bar point of sale and purchase; BeerBoard Menu, automated print and website menus; and a consumer mobile application.e bar point of sale and purchase. With BeerBoard, operators know what is pouring and whether or not products poured are being categorized as sold. Easily accessible, BeerBoard reports show retailers their best-selling brands, success of promotions, and where money is being left on the bar. BeerBoard’s services are best suited for bars, restaurants and tap rooms that have high tap turnover. Currently, we work with high profile independent operators and major chain clients throughout North America, including Buffalo Wild Wings, Hooters, Twin Peaks, Mellow Mushroom and BJ’s Restaurant & Brewhouse. 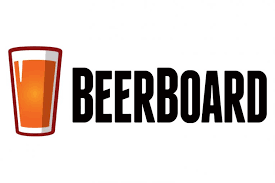 BeerBoard’s patented technology, SmartBar, helps clients increase beer sales and track beer flow in real time. A partnership with Upserve POS provides the same great service on the POS terminals.